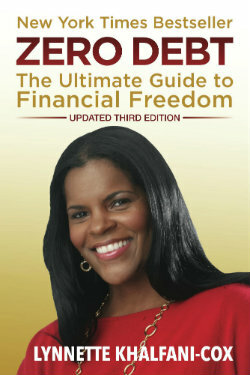 Have you ever had a medical bill that you just couldn’t afford to pay? Or maybe you needed a medical implant, a surgery, or some doctor-recommended procedure, but you chose not to do it simply because it was too costly? Well, you might be a candidate for a growing trend that’s called medical tourism. Medical tourism occurs when patients travel outside their own state – and typically out of the country – for far more affordable healthcare or surgical procedures. I was reading an interesting article in the New York Times the other day about a gentleman in his 60s who needed a hip replacement. Long story short, in America, this man was quoted $78,000 for the hip replacement and that didn’t even include the surgeon’s fee. All told, this ailing gentleman was looking at a $100,000 medical bill. Needless to say, that was a hefty amount of money and he said he just didn’t have that kind of money to spend. The fellow wound up going overseas to Belgium for a hip replacement. The whole thing cost him, all in, less than $14,000. Now when I say “all in,” I’m talking about everything — the surgeon’s fee, all the medical procedures, of course, as well as a five-day stay in the hospital, a week of rehab, all his medicine needed for the procedure, plus the round-trip ticket that he had to buy to get from to and from the U.S. and Europe. Imagine that! Thanks to medical tourism, this U.S. citizen was able to get his much-needed hip replacement for a grand total of under $14,000. That’s a tiny fraction of the $100,000 he was quoted (or less than one-seventh of the price) it would have cost to have the same procedure on American soil. Unfortunately, getting quality, affordable health care here in America has become so hard to come by that this trend toward medical tourism is likely to continue and only get bigger. In fact, researchers at Deloitte have predicted that medical tourism will grow by 35% per year and reach nearly 25 million outbound patients in 2017 – and that’s after surging by a rate of 100% annually from 2007 to 2010, when millions of Americans traveled abroad for medical treatments. The sad economic truth is that sky-high prices in U.S. medicine and health care are outside the reach of the average working class, or retired, American. And the medical tourism trend is not just for folks who need hip implants or knee replacements. A lot of people are going overseas for everything from cosmetic procedures, tummy tucks and breast implants, to dentistry, to other kind of surgical work that they might want or need. That’s true for the elderly as well as for children. Have you ever thought about getting braces, for example, for your kid? Well, a lot of people are going off to Central America, or even just south of the border to Mexico, to get cheaper dentistry because here in the States it’s thousands of dollars for many of those types of procedures. In many ways, it’s shame and a travesty that we haven’t found a way to rein in these runaway health care costs. Something has got to be done about it or else were going to see more Americans going not only to Mexico or overseas to Europe, but also to India and Thailand, and Central American nations like Panama or Costa Rica where medical tourism is quickly gaining in popularity. It’s a sad commentary on our nation’s healthcare system when America’s citizens have to actually fly out of the country just to be able to afford health care or medical procedures that they desperately need. It’s one thing if someone wants to use medical tourism to get a discretionary or optional procedure like a tummy tuck. But if you need to get a knee replaced because you can’t even walk or perhaps you can’t get around without a cane, well then your quality of life is greatly impacted. So having a knee replaced would be life changing and is a true medical need. And here’s another interesting tidbit: medical tourism is even on the rise domestically. Some companies – and some money-savvy individuals – have figured out (not surprisingly) that healthcare procedures are cheaper in some parts of the country than in other parts. So now you don’t even have to necessarily go abroad in order to take part in medical tourism. 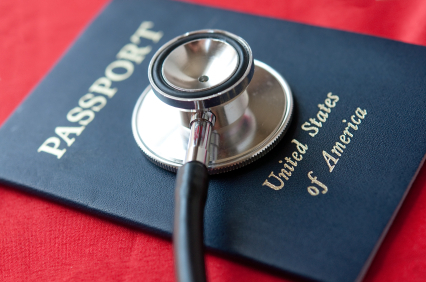 As it turns out, medical tourism is catching on within U.S. borders as well. It’s not unheard of for a patient in, say, New York City, to drive a few hours to a hospital in Pennsylvania for much cheaper medical services. A business called Medibid even helps patients nationwide to connect with healthcare providers in other states (or abroad) as a cost-savings strategy. As part of Medibid’s process, you submit an online request for affordable medical care; anything you need from an annual check-up to a complex surgical procedure. Depending on your request, you then get back various bids directly from doctors, dentists, surgeons or healthcare facilities. After you accept a bid, you are put in contact with the specialist you chose. And in the end, it’s up to you to pick the healthcare provider you feel most comfortable with and most affordable. Medibid’s service is $25 for a one-time medical request or $4.95 per month for a year, which entitles you to unlimited medical requests. Medical tourism may not be right for everyone. But for many who may not have heard of it, or considered this option, it can be a creative way save money on medical costs – either here in the U.S. or in another country.